Deonna Marie - Rosebud Magazine Hydroponics Lifestyle Growing And Entertainment! Every outdoor season, we growers try to take every precaution possible to prevent early flowering. The earlier you plant outdoors, the better chance you'll have for early flowering to start. I've been getting a lot of questions and concerns about this topic in my store this outdoor season, so I did some research and thought I should touch base on it. In this edition of Hydro 101, I'm going to share a few easy steps that I found to be very useful. Do you remember heading off to school for the first time? You were finally ready to leave your parents’ constant care, but you still needed a lot of guidance to see you through childhood to adolescence and teenage years. It’s the same when your plants go from pre-veg to the vegetative growth phase. Your burgeoning crop is no longer an infant, but it’s a long way to the bloom phase when your plants start to become adults. It’s that time of year again, when we get to grow outside in the warm, sunny weather. If you’re like me, you’d rather spend your summer at your growing site or at the pool than waste quality daylight hours in the hydroponics shop. That’s why I’m going to go over the equipment and accessories that will make your entire outdoor grow season a fun and profitable one. These products will ensure a great grow from start to finish — and also make the process a little easier. In this edition of Hydro 101, I'm going to give you some great tips and tricks on how to get a cheap, quality setup on a budget. If you are wanting to grow hydroponically, keep in mind that it's going to be quite a bit more pricey. There are a lot of different resources when it comes to looking for good deals, so let's take a look at some options. Here’s a list of gifts that are perfect for the special people in your life with whom you want to share the wonders of hydroponics. Why is pH important? Do you really need to worry about it as much as they say you should? Confusion over pH is an issue that I think often needs to be explained in greater depth. Some growers insist on the importance of having the exactly perfect pH levels, while others don't pay too much attention because they don’t understand the great importance of it. When you’re growing hydroponically, poor water quality can be a serious culprit when it comes to problems including stunted growth, mineral toxins, deficiency symptoms, bacteria contamination, and so forth. In this edition of Hydro 101 we’re going to look at the benefits that come from using a reverse osmosis (RO) system, and why using plain ol’ tap water just doesn't cut it for most growing situations. Thrips, spider mites, fungus gnats, aphids – these are a grower’s worst nightmare when it comes to our precious crops. These pests can enter your grow room from your clothes, animals, or other plants brought in from another environment that was infested with pests. But believe it or not, not all insects are worth getting rid of. In fact, there's quite a few that are beneficial to your grow room because they eat some of those other nasty pests for lunch. Let's take a look at some of these insects and why they are beneficial to you and your plants. In this Installment of Hydro 101, we’re going to go over a few different hydroponic techniques, what they do, how they work, and how to use them. I get a lot of questions about what is the best technique, but there is no right answer in my opinion. I suggest reading up on the different kinds of hydroponic systems and techniques, and then decide which one best fits your budget, grow space, and time. Maybe you've been wanting to try a new system or maybe you feel like you’re ready to make the switch from growing in soil. 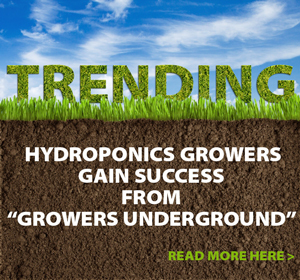 Either way, I hope this article will help guide you through the world of hydroponics. Would-be growers often decide to start an indoor garden on a whim. Maybe they have been misinformed about the difficulty of indoor horticulture, or they know a friend who has grown successfully and made it look easy. 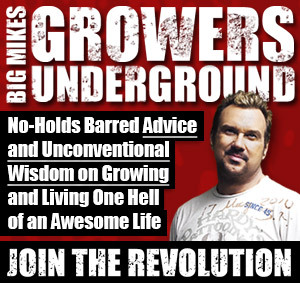 Unfortunately, there are many things potential growers never consider before building an indoor grow room, and all of them can lead to frustration, anger and the temptation to throw in the towel. Here are five factors to consider before taking the plunge into the world of indoor cultivation. If you’re just starting out in the growing business, one of the most important decisions to make is how to take your first step. When starting to develop a new crop, some growers begin by seeking out clones. However, you may want to consider starting out with seeds. When purchased from a reputable source, seeds are the best way to guarantee that you are getting a true, pure strain. Even with the growing availability of clones in many areas, there is no certainty that you really are getting what you pay for—you are relying strictly on the reputation of the vendor. However, certain seed banks can offer a great selection. Starting plants from seeds gives you over 1,000 choices, whereas getting clones locally limits your options. 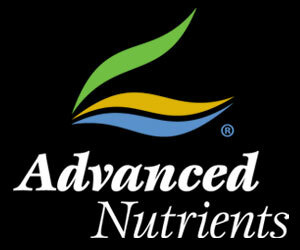 We are dependent on plants for everything from food to clothing to shelter. A world of flourishing plants is necessary for our survival, but with each passing day we face the harsh reality that our environment is increasingly threatened by habitat loss. It is estimated that 60,000 to 100,000 plant species today are threatened with extinction. With that in mind, we are going to talk about the importance of preserving genetics and collecting seeds so that our valuable crops will be there for future generations.